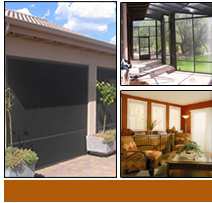 Patio enclosures offer a lifestyle enhancement for you, your guests and pets. Providing an insect free environment your new room becomes a focal point for activity and comfort. 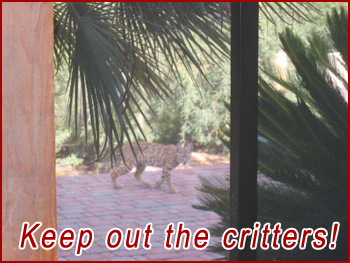 Keeping out litter, leaves, birds and critters while maintaining a view and changing the wind into a gentle breeze. The patio enclosure is framed with 2” extruded aluminum (no maintenance, rust or rot worries) utilizing flat not round spline insuring taut screens even in strong wind. A variety of fabrics (some pet resistant), color choices and weaves are available creating a room with a great look and wonderful views. Your patio will be 15% cooler for you, your guests and pets. Built onsite by our employees (we do not use causal labor) you are assured of quality materials, expert workmanship resulting in a new trouble free room. 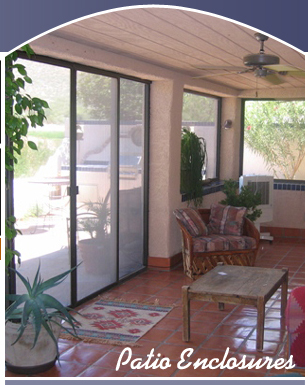 Your choice of a swinging or sliding door and we will build in your pet door if desired.